Installing Joomla on Rackspace Cloud Sites Video Guide shows the basic workflow for installing Joomla! on Cloud Sites plus this text gives you detailed guide. You can also check our old Installing Joomla on Rackspace Cloud Sites guide, actually not needed as we have written here for easy and conventional method, the older one has scripted installation. Our usual method for any guide are constant and we will also follow that work flow for Installing Joomla on Rackspace Cloud Sites Video Guide. Upload unzipped folder of the Joomla using WinSCP or FileZilla. We have used ported version of WinSCP on Mac. You will notice on the video that I have joked when command + A to select all the folders and files has not worked. It took CTRL + A in Mac ! Just copy the details of your database in any text file and actually ponting towards the FTP root where you have uploaded the Joomla! unzipped contents will initiate the installation wizard. Anyone can perform it, its quite easy to fill the wizard based form. 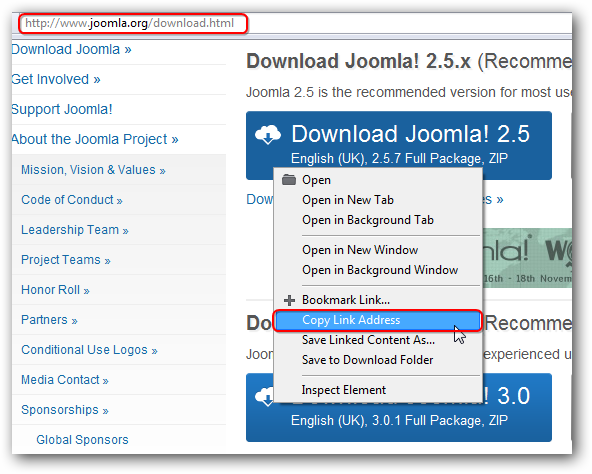 Instead of blindly following our guide to install Joomla! you can install AjaXplorer on Rackspace Cloud Sites to Extract Zip Files. This Article Has Been Shared 8338 Times! How to Deliver Cloud to Your Customers as SaaS or PaaS at a time when users are adapting for cloud, not only in the form of virtual servers but also as SaaS. Cite this article as: Abhishek Ghosh, "Installing Joomla on Rackspace Cloud Sites Video Guide," in The Customize Windows, December 9, 2012, April 25, 2019, https://thecustomizewindows.com/2012/12/installing-joomla-on-rackspace-cloud-sites-video-guide/.